"East West East Germany e.V." is an association founded in July 2017 which mainly deals with national and international youth work. Our programme includes many national and international projects within the framework of various support programmes, such as ERASMUS+ / Youth in Action or structured dialogue. Within the international work of the association we cooperate with about 20 different organizations, which are spread all over Europe and beyond. Among our long-standing cooperation partners are "Streetlights" from Athens, Greece and the "Youth Club Active" from Tallinn, Estonia. Our goals are to support the European basic idea and respectful cooperation and to give young people the opportunity to look beyond their own horizons. 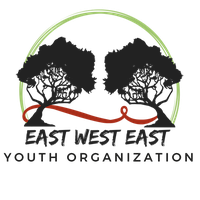 The East West East Project has been in existence since 2005 and has carried out many international projects since then, funded by the European Union's ERASMUS+ Youth Programme or its predecessors. Starting from the anti-racism work in the nineties of the last century, many international youth encounters took place in the Berchum Youth Education Centre in Hagen, especially with the countries of the former Soviet Union. The association was founded in the summer of 2017. In the meantime, we are recognized as a charitable organization and as an independent youth welfare organization. We cooperate with 20 partner groups throughout Europe. Just like the members of our association, our board members are also a motley mix. The first chairman is Paul G. Gaffron (1949), who has been active in youth work as a qualified pedagogue for over 40 years. Ronja Lebeda (1992) is the second chairman of the association. She studies "Culture, Individual and Society and Russian Culture" at the Ruhr University Bochum. The secretary is Niclas Sandner (1993), a freelance youth worker in training to become an adventure pedagogue. Bastian Meinker (1993) is cashier of East West East and studies "Political Science" at the University of Cologne. The board is completed by Marieke Wirtz (1995), who studies "Social Work" at the Protestant University Rheinland-Westfalen-Lippe and is responsible for the association's public relations work.